PVF: How did the idea of Chapter 510 evolve? JH: There’s been interest in starting an 826 Oakland for many years among Oakland’s writers and educators, but the commitment of one funder, the Abundance Foundation, really ignited the project. Along with Abundance, Michael Chabon has been a huge champion of an 826 Oakland chapter. An all-volunteer working group was formed and out of that working group came the initial vision and project team: I’m a poet and the founder of WritersCorps and have more than 20 years of experience in literary arts programming; and I brought in visionary educator and arts integration specialist, Mariah Landers; and a novelist, teaching artist, and longtime 826 Valencia volunteer, Erica Lorraine Scheidt. We three, along with incredible support from Philanthropic Ventures Foundation, Oakland Public Library, Solespace, MetWest High School, Oakland Literacy Coalition, and others, took on the charter and got to work. PVF: What is your vision for Chapter 510 and the impact you see it having in our community? JH: The Working Group was very clear in its vision: Chapter 510 is a made-in-Oakland literacy project focused on supporting teachers and developing creative and expository writing skills for students. We share a vision for Oakland as a place where our youth and their perspectives are visible and where our teachers are honored and supported. We believe that great leaps in learning can happen with one-on-one attention and that strong writing skills are fundamental to future success. With this in mind, we focus on placing trained volunteers to assist teachers in the classroom and writing workshops in the community. Our goals are ambitious and driven by demonstrated need. We want to be an ally for youth and families who seek to improve their literacy skills. We want to support teachers who want their students to write with confidence. PVF: What projects are currently in the works? First, we’re tutoring students at MetWest High School in downtown Oakland. Chapter 510 volunteers will be working with 9th graders on their Oppression and Liberation Unit, and, with Oakland Local, we’ll be providing writing assistance to 11th and 12th graders on the MetWest student online newspaper. Next, we’re supporting the Oakland Public Library and the Oakland Youth Poet Laureate, in a public poetry project called The 510. This poster series will showcase the poetry of Oakland youth. Finally, over spring break, Chapter 510 teaching artists will lead writing workshops at neighborhood branches of the Oakland Public Library. Like all of our programs, these will be free and open to all youth. PVF: Is there a way people can get involved? JH: Yes! Volunteers are at the heart of the work we do. If you love to read or write and want to nurture that love in a child, visit us at www.chapter510.org to sign up. We need all kinds of volunteers, both one-time and ongoing. And we provide the training! 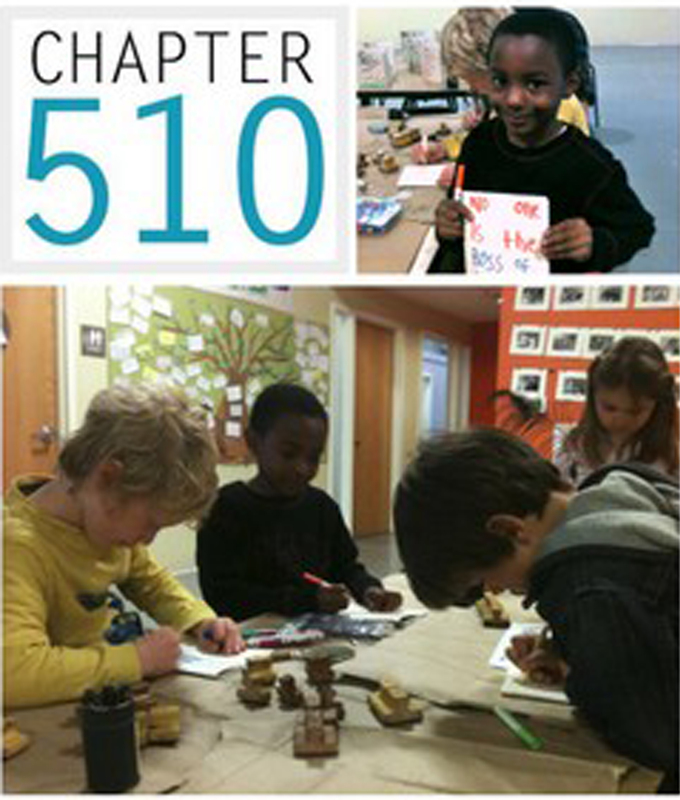 If you are interested in helping to improve literacy in Oakland’s youth, please check out Chapter 510 to volunteer, or get in touch with us to learn how you can make a charitable donation. This entry was posted in Uncategorized and tagged designated fund, literacy, Oakland, youth. Bookmark the permalink.